What should you consider when thinking about fitted furniture? 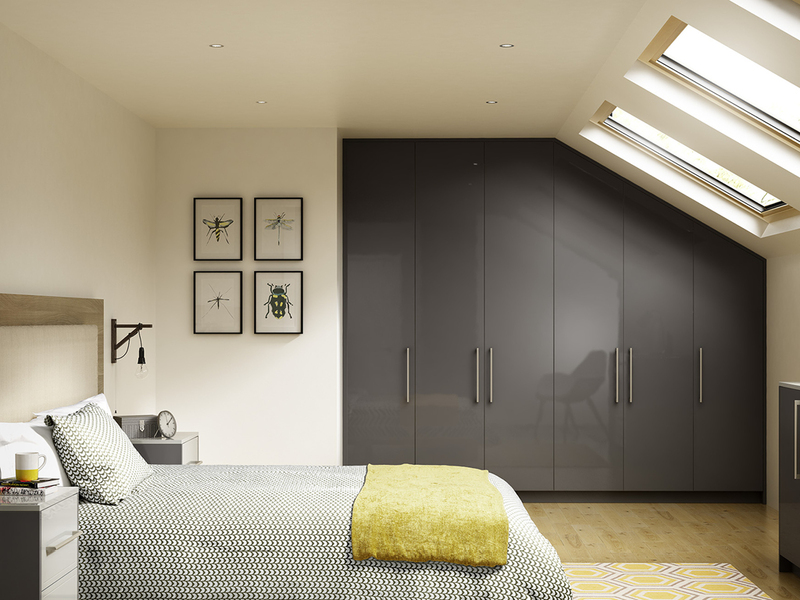 When it comes to fitted furniture, like fitted bedrooms and fitted wardrobes, it pays to consider a few important points prior to making your investment. As a small business we welcome visitors to our showrooms, this way you can see the quality of the products, discuss the flexibility of how we can maximise interiors, and look at colour choices and combinations available, as well as allowing us to explain that we make made-to-measure fitted furniture, which is installed by our own team of fitters. To help you make the right choice we have produced this brief guide, which we hope will prove useful; if however, you would like further details or guidance then visit one of our showrooms and we will be happy to answer any questions you may have. The first things to consider are storage, what storage solutions are available and which ones will fit within your budget, and, which will meet your overall storage needs? This point may seem obvious, but there are lots of options available that can, at times, be daunting. But don’t worry our design team is on hand to guide you through the options, helping you to make the best choice. The second consideration is room size, because this does dictate budgets – the bigger the room the more it will cost, because the more room you have the more options you have, but again, our design team can help you. The third consideration you have is colour, there are plenty of colour choices available to you, but again, you need to think about room size as certain colours can make your room appear larger or smaller. You also have emotional considerations, after all the choice you make should compliment your style and your décor. Once you have given these points some consideration you can then really look at the options available, and then, you can let the design team produce a practical, yet inspired design that reflects your preferred choice. The skills of the design team play an important part at this point, because they can create a layout that works for you and your room, selecting a choice of styles and colours that you will be happy with. Another point Sarah highlighted was quality, “It can be a big investment so you need to know the materials being used, and the craftsmanship is at its best. 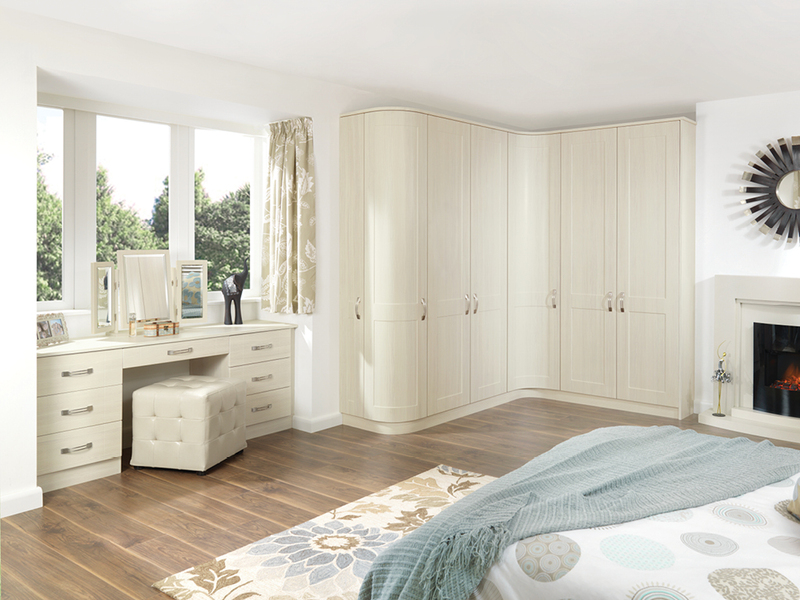 I also think the people who install the fitted bedroom or fitted wardrobes need to be polite, friendly and professional.” This factor, Sarah points out is almost as important as the quality. “I don’t mind paying more for great service”. Although we agree completely with Sarah’s considerations, there is one more consideration you must think about, and that's the reputation and the history of the company you have chosen; do they have great reviews from happy customers? And do they have a long history? These two points will give you confidence that the company you have selected must be doing something right if other people are taking the time to recommend them. We hope this brief guide has been helpful, but If you would like further information, or you would like to take advantage of our free design visit, then please call into our showrooms located in Wakefield and Rawdon, and our team will be happy to assist you.